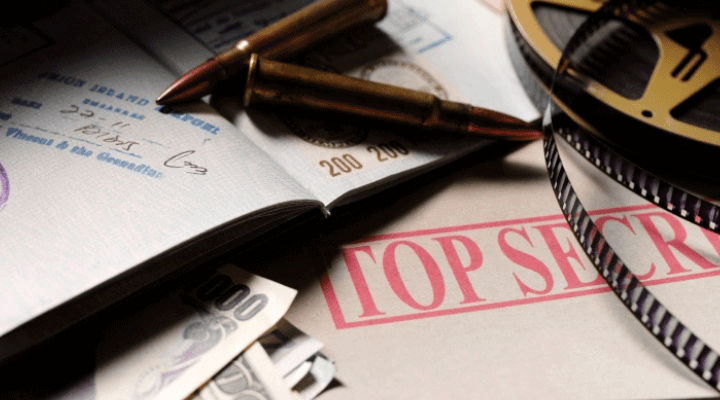 This is the second part of a two-part prompt to review look at the all-important Standard Form 86 (SF-86), the Questionnaire for National Security Positions. Part 1 offered a quick look at the Office of Personnel Management (OPM)’s requirements. Thankfully, the National Background Investigations Bureau (NBIB) and OPM published a guide to help you through the imposing process: “Completing Your Investigation: Guide for the Standard Form (SF) 86 National.” Here’s a look at some of the advice NBIB offers. The 44-page NBIB guide walks clearance candidates through the SF-86 process from start to finish, everything from accessing the e-QIP login to releasing and transmitting your completed SF-86. Before you begin the process—especially if you’ve never completed an SF-86 or used e-QIP—reading through the guide can be helpful. It will both set some expectations and help you collect the information you need before you’re hit with the questions (not that this is a test). For instance, according to NBIB, you might expect to spend two hours and a half hours completing the SF-86. That’s “including time for reviewing instructions, searching existing data sources, gathering and maintaining the data needed, and completing and reviewing the collection of information.” That sounds about right if you’re early in your career. If you are in or were in the military, for example, moving around every couple of years, and 15, 20, or 25 years into your career, you can expect to double, or triple that number, especially if you don’t have all your own background information together. If you’ve completed the clearance process once or several times before, you know, as well, that you have a good deal of the information already captured in earlier background checks. Going into the SF-86 cold is a journey of discovery. With the NBIB Guide, you know exactly what you’re getting into before you begin. “For most of the categories,” explains the guide, “you’ll need information going back ten years.” Right there, I’m in a bit of a panic. For myself, in the last 10 years I’ve lived at 13 different addresses, several overseas and worked for 7 different organizations and studied at a university, each, of course, with different leadership, different colleagues, and so on. It’s complicated. But I know I can find all that information with a little work, so I’d rather have it all at hand rather than come and go, login and logout to eQIP. Beyond that framework, the guide lists out the array of information you’ll need to have ready: for example, proof of citizenship for you and your family, employment history to include supervisors’ names and more, residences and people you knew at each location (and how to get in contact with them), and more. Perhaps one of the most valuable aspects of the NBIB Guide are the notes it provides that put many of the SF-86 questions and answers in some context. For example, if you read the guide ahead of working through the SF-86, you’ll know ahead of time that you can save time by providing supporting documentation electronically, you’ll know what to do when e-QIP gives you error messages, you’ll be reassured to know that you’ll not be denied a clearance just for seeking mental health treatment.” Altogether, the NBIB Guide provides 17 notes for clarity when working through the SF-86. The NBIB Guide, as well, officially answers most all the questions you might have as you move from section to section, from Section 1 (your name, all of it and them) to Section 29 (people with whom you’ve associated). For instance, consulting the guide, you’ll know already that Section 13a, Employment Activities, means both employment and unemployment: “Enter information for all of your employment activities,” the guide explains, “including unemployment and self-employment . . . . There must be no date gaps.” In fact, the SF-86 asks for dates 550 times. So before you get started, take a few moments to read through “Completing Your Investigation: Guide for the Standard Form (SF) 86 National.” It will be time well spent, and there’s a nice return on that investment.